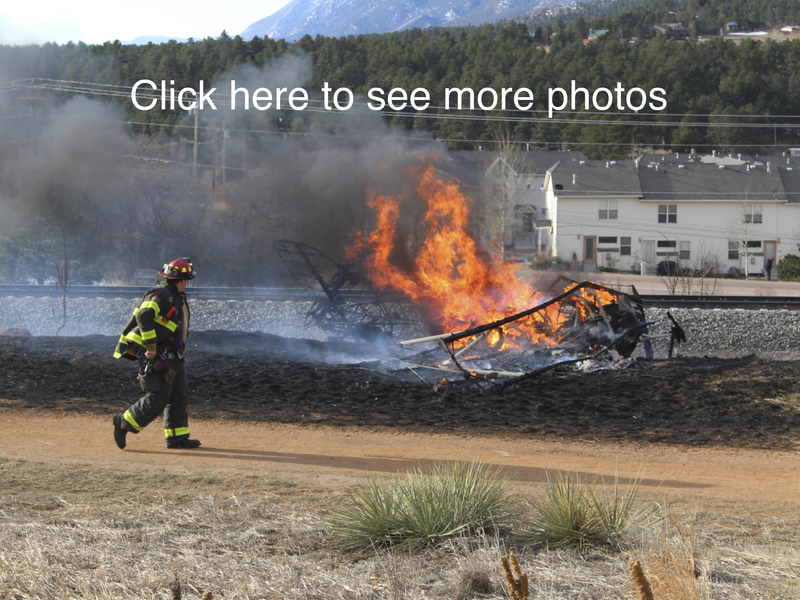 A small plane went down near Palmer Lake Wednesday morning, according to the El Paso County Sheriff's Office. The plane crashed a few hundred yards from a neighborhood, near 100 County Line Road, north of Monument. The sheriff's office could not confirm how many people were on the plane, though a source told ABC News that there were two. It's unknown if anyone survived. Flames from the crash charred about a quarter of an acre of grass around the wreckage. The plane was completely destroyed - investigators could not even identify the tail number. Monument is near the Air Force Academy but the school told The Gazette of Colorado Springs that the plane isn't one of its aircraft. The academy isn't flying planes Wednesday partly due to strong winds. Eyewitnesses said the plane appeared to be having mechanical issues but there is no official word on the cause. The NTSB will be investigating. Denver7 has a crew at the scene. Please refresh this page for updates.